The ACT supports the development of professional standards and best practice both inside and outside of treasury. We do this through our competency framework, which defines the skills and competencies needed by treasury professionals to operate successfully in today’s challenging business climate, our professional qualifications and accredited programmes. We are committed to continuing professional development (CPD), proudly so following our Royal Charter in 2013, and to helping treasurers and those with treasury responsibilities be more effective in their jobs and perform the vital role they play in business today. The economy depends on strong financial markets which in turn need skilled and trained people to manage the cash and the risks that will ultimately drive growth in international trade. 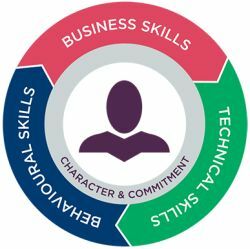 Underpinned by the ACT Competency Framework, ACT qualifications provide the practical tools and professional benchmark for skilled treasury performance and together with ACT membership, offer a trusted, credible and recognised standard. Choosing to study an ACT qualification is just the start. Only once you qualify, and take up your ACT membership, can you use your designatory letters. These are what really set you apart and offer a mark of professional distinction to your employers, peers and clients. Of course there are other providers of treasury training, but your membership of the chartered body for the profession shows you are serious about your career in treasury and committed to maintaining the very highest standards. The qualification pathways develop a broad knowledge, starting with a solid grounding and becoming progressively more in-depth as you advance. The ACT Learning Academy delivers learning for these commercially-relevant ACT qualifications. Chosen by treasury and finance professionals from some of the world’s biggest companies, they are a win-win for employees and employers alike. Our qualifications offer a progressive learning pathway that delivers practical skills to support every level of career. The ACT Competency Framework offers guidance on what the global standards are for successful treasury. Useful information on how to book and sit your assessments and getting your results. View exam pass lists and celebrate students who have excelled in their studies and demonstrated academic excellence.